Thank you, this giveaway has ended. 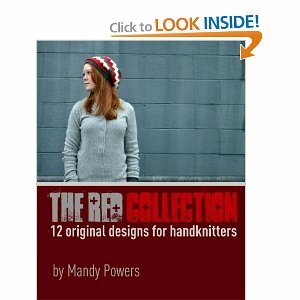 We are happy to announce we are giving away a signed copy of The Red Collection by Mandy Powers! 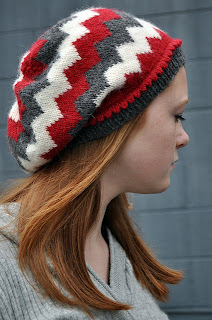 This is a great new indie-published knitting pattern book and we have simply fallen in love with the dynamic patterns for knitted accessories worked in a simple color palette of black, white, gray, and red. The photography is awesome, the color charts are clear and easy to read, and the book includes a great tutorial on how to block your hand knits. Congratulations to Mandy for publishing her collection of knitting patterns on her own like this- we are seeing so many interesting self-published knitting books this year! To enter, please leave a comment on today's post- a winner will be randomly selected a week from today! Thank you, Mandy, for providing a signed copy of your book to one of our lucky readers! The giveaway also includes the digital pattern pack so you can store all of the patterns digitally in your ravelry library! Oh my. That Drifty Hat is gorgeous! How fun! I'd love to knit up a few things from this book! Wow - what fantastic patterns! I would love this book! Love this book, Fun patterns. I absolutely love the first hat pictured (the Ziggity). It's just gorgeous! Even if I don't win the drawing, I may have to get a copy of the book now! I love that all the patterns are in the same colors. Its different but in a good way. Love all the patterns you show in the post. I'm happy to see designers self-publishing. I'm even happier to see that these patterns are modern and not too simple. I'm so tired of seeing over-girly lace patterns that are just copied out of stitch dictionaries, compiled and then copyrighted. That's not really designing. Love this book!!! I have been on the verge of ordering for weeks now. So cute and I love that it's self-published. Ohh, love the Drifty Hat as well! Cute little bird. I am loving the Ziggity Hat and Mittens! They are so fun! Thank you! I love that hat! I would love a copy of the book. I'm in love with the knits and photos! What a beautifully crafted pattern book! Awesome book, would love to win it!! I love, love, love the Drifty Hat, that's adorable. Thanks for the chance to win. Love book! I would love to have a chance to win. I really like the Drifty Hat too! What great looking patterns! I'd love to try them out. I love knitting books! I'd love to win also. This books looks really cool. and I love the drifty hat. What a great book! Stuff my teen daughter would actually like! I would love this. Thanks for the awesome giveaway! Beautiful hats and mittens! Looks like a lovely collection. The pictures are an inspiration! I would love to win this book. Beautiful patterns. I would love to win this book. 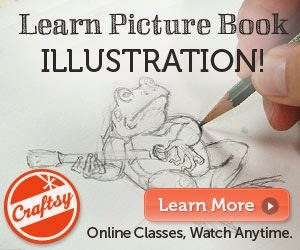 winning this book and learning new skills would be great. The red collection is fun and interesting. Would love to knit these items. I love those mittens - they are so pretty. Would love to win the book! Such beautiful patterns! I am a big fan of Mandy's patterns, I would love to win this book! I love Mandy's designs. But I have to say, the Phoebe sweater for a little girl is just too cute! Mandy's designs are beautiful. The colours are so crisp. I would love to win! Drifty hat is my favorite, also! I love give-a ways especially at this time of year! I am thankful for such talented people! please enter me in your generous giveaway, i love craft books ! PIck me! Pick me! I love this contest as their is something for me and something for my kids. Great idea to do a giveaway swap! I'm entering both - one for me and one for my kids :) Thank you! I agree with you, the drifty hat is too cute! Thanks for the chance to win. This looks like a really awesome book!! Pick me! I'm Malig on Ravelry. Thanks! This book has been on my wish list for a long time, I would love to win it! The hats, the mittens, oooh, what great patterns! This book looks to be unique in the wide range of books coming out. Looks great! would love to have a copy of this book!! the patterns are grrrrrreat!!! The Red Collection looks fantastic!!! I'd love to win a copy. Thanks! Oh! Those are my favorite colors. And I do need to learn how to block things... That hat looks really cute- and I'm a sucker for hats! Thank you for the chance to win this amazing looking book! I love these patterns, I would love to have a hard copy of the book! What a lovely book! Would love to have it on my knitting shelf.